A condition of an applicant’s inclusion in the Club’s list of Judges is that the applicant agrees to write a critique on their judging of the Breed and submits it to the canine press within the required time limit. It is expected that an applicant’s completed judging appointments will have covered a wide geographical spread. The lists are only valid for a specific period and on expiry the Club will publish updated lists. The Hungarian Vizsla Club Judges Sub-Committee alone shall decide which names will be included in the lists and although proposed judges may fulfil the required criteria, this does not guarantee automatic inclusion in any of the Club’s lists. Judges who have previously been approved by the Kennel Club to award Challenge Certificates in the Breed, have completed their first appointment and have the support of the Hungarian Vizsla Club. Judges who fulfil all the criteria of the ‘A3’ List and who have been assessed in accordance with the Kennel Club requirements and accepted by the Kennel Club for inclusion on an ‘A’ List and have the support of the Hungarian Vizsla Club. Judges recommended by the Hungarian Vizsla Club as being suitable to award Challenge Certificates in the Breed, but who are not yet approved by the Kennel Club. 10 years active involvement with the Breed. Minimum seven years judging experience in the Breed and 125 Vizslas to have been judged ‘hands on’, to include either a breed open show or a Championship Show without CCs. For the purposes of the Club lists, at a championship show without CCs on offer for the Breed a minimum number of 35 dogs hands on must have been judged. Attended a Breed specific seminar run in accordance with the Kennel Club Code of Best Practice and passed an examination or assessment where applicable. Attended a Seminar on Kennel Club Regulations and Procedure given by a Kennel Club Accredited Trainer and passed the relevant examination. Attended a Seminar on Conformation and Movement given by a Kennel Club Accredited Trainer and received a Certificate of Attendance. Attended a Conformation and Movement “Hands-on Assessment” conducted by a Kennel Club Accredited Trainer and passed the assessment. Have bred and/or owned a minimum of 3 dogs when they obtained their first entry in the Kennel Club Stud Book (Save in exceptional circumstances). Judged a Breed Show or a Championship Show without Challenge Certificates, overall judging experience to include a minimum of 150 Hungarian Vizslas ‘hands on’. For the purposes of the Club lists, at a championship show without CCs on offer for the Breed a minimum number of 35 dogs hands on must have been judged. Judged for a minimum of seven years (five in this breed). Attended a Breed specific seminar, run in accordance with the relevant Kennel Club Code of Best Practice and passed an examination or assessment where applicable. All judges awarding CCs for the first time in any gundog breed must have attended a Kennel Club Field Trial at an Open stakes level or an open Gundog Working Test for the relevant subgroup prior to their being considered to award CCs. Award Challenge Certificates in at least one other breed. Judges must be approved to award Challenge Certificates or their equivalent in the Gundog group in their native country, have demonstrated an involvement in the breed and have the support of the Hungarian Vizsla Club. Judges recommended by the Hungarian Vizsla Club to Judge at Open Shows or Championship Shows without Challenge Certificates. Five years active involvement in the Breed. Three years minimum judging experience and to have judged 35 Hungarian Vizslas ‘hands-on’. Attended one Breed specific seminar run in accordance with the relevant Kennel Club Code of Best Practice and passed an examination or assessment where applicable. Stewarded at six shows over three years or be passed to award Challenge Certificates in another breed. Demonstrated an interest in the sub group known as the Hunt, Point, Retrieve breeds. Judged 50 Hungarian Vizslas ‘hands on’ over a minimum three year period. Stewarded at six shows over a three year period or be passed to award Challenge Certificates in another breed. 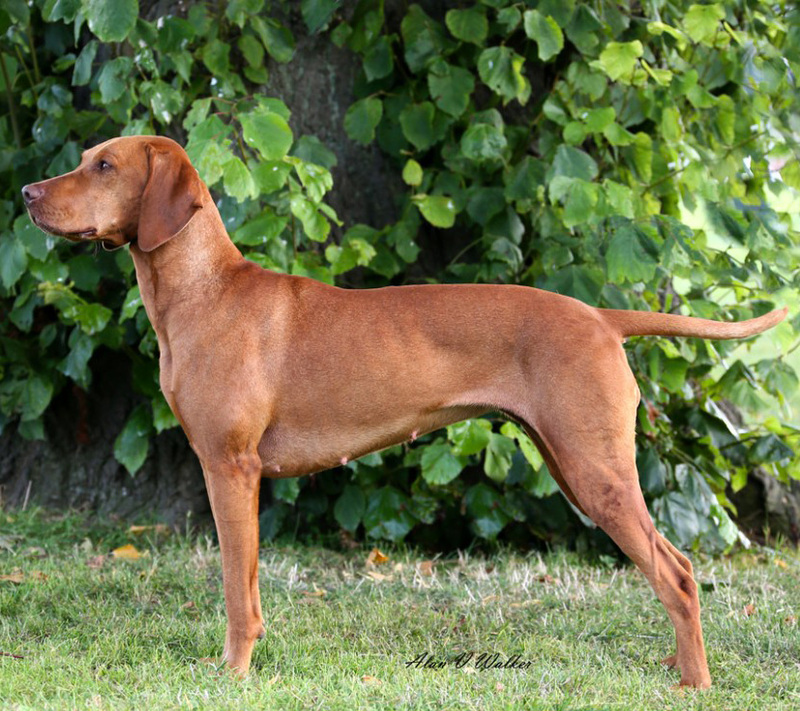 Judges must have demonstrated an active involvement with the breed or other Hunt, Point, Retrieve breeds, be approved to judge Hungarian Vizslas in their own country and have the support of the Hungarian Vizsla Club. 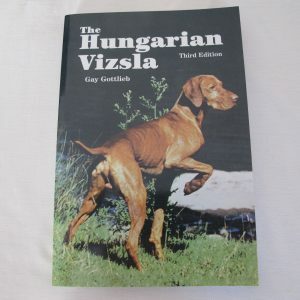 For aspirant judges who have shown an interest in the breed and have the support of the Hungarian Vizsla Club. Schedules are circulated to all Club members and are also available from the Show Secretary, or can be downloaded from the website when available.